We provide Gas Consumption Meter that is designed to measure the rate of flow of the fuel gases consumed in industrial, commercial and residential purposes. Herein, the measured volume is highly affected by the pressure and temperature. 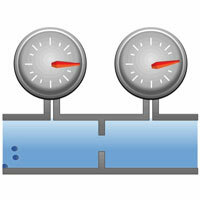 Our Gas Consumption Meter compensates for the lower driving torque created by the comparatively low density of gases. This compensation is obtained by large rotor hubs. 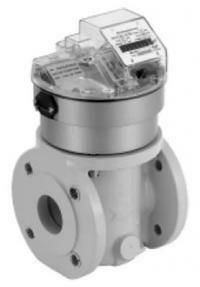 Gas turbine meters : up to 12"
Rangeability : 100:1 can be obtained in larger size meters. Minimum upstream straight pipe-run requirement : 20 pipe diameters.